Domaine des Saumades is another recent success story in the Southern Rhone Valley. The birth of Domaine des Saumades takes place in 1995 with the help of Franck Mousset, along with his brother Olivier Mousset are also the owners of Clos Saint Michel, which is located in Chateauneuf du Pape. Today, the property is managed by Franck Mousset and Murielle Mousset. 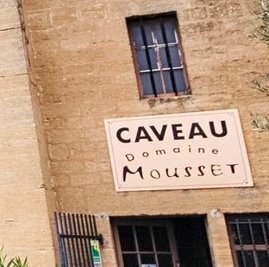 If the Mousset name sounds familiar, they have a long history in the Chateauneuf du Pape appellation. The Mousset family helped build Chateau de Fines Roches, the popular hotel, vineyard and winery in Chateauneuf. They also own Jas de Bressy and Mas Grange Blanche. Domaine des Saumades owns 2.25 hectares in the Chateauneuf du Pape region. This makes the estate one of the smallest vineyards in the Chateauneuf du Pape appellation. The vines are located not too far from Chateau Rayas in the northern part of the appellation. The terroir is mostly sandy soils. 1.85 hectares of vines are planted for the production of red wine and .4 hectares are used for the production of white Chateauneuf du Pape wine. Domaine des Saumades produces 1 red Chateauneuf du Pape wine and 1 white Chateauneuf du Pape wine. Domaine des Saumades is made from 100% Grenache with vines that are on average, 35 years of age. The terroir is pure sandy soils in the Pignan vineyard. The grapes are completely destemmed. The wine is aged for 12 months in used, French oak barrels and demi-muids before bottling. On average, the production is close to 450 cases per year. Domaine des Saumades Blanc is produced from a blend of 40% Grenache Blanc, 30% Clairette and 30% Bourboulenc. The wine is vinified and aged in a combination of new and used French oak barrels for 6 months before bottling. Domaine des Saumades can be enjoyed on the young side. Young vintages can be popped and poured, or decanted for about 1 hour, give or take. This allows the wine to soften and open its perfume. Older vintages might need very little decanting, just enough to remove the sediment. Domaine des Saumades is usually better with 2-3 years of bottle age. Of course that can vary slightly, depending on the vintage. In the best vintages the wine should be consumed within 3-10 years after the vintage. Domaine des Saumades is best served at 15.5 degrees Celsius, 60 degrees Fahrenheit. The cool, almost cellar temperature gives the wine more freshness and lift. Domaine des Saumades is best served with all types of classic meat dishes, veal, pork, beef, lamb, duck, game, roast chicken, roasted, braised, stewed dishes, sausage, barbecue and cassoulet. Domaine des Saumades is also good with Asian dishes, hearty fish courses like tuna, mushrooms, pasta, eggplant, cheese and tomatoes. The white wine of Domaine des Saumades is best served with a myriad of different seafood dishes, shellfish, crab, lobster, sushi, sashimi, chicken, pork and veal, as well as Asian cuisine. Medium bodied, forward and soft, the wine's sweet, red fruits, spicy characteristics and freshness is already starting to show well. You can enjoy this on release. Medium bodied, fresh and sweet, the round, ripe cherry and cocoa center really stand out. Light in color, floral in nature, this medium bodied wine will show its red berry charms best in its youth.